The federal government has filed a lawsuit alleging a major airline company breached a pilot’s employment rights by refusing to provide sick leave when he was called to serve on active duty for the U.S. Air Force. The Air Force Reservist, a lieutenant colonel, reportedly sought to use some of his sick leave to compensate for the time he had to take off work during his deployment from December 2012 to March 2013. According to the U.S. Justice Department, United Airlines Inc., based in Chicago, refused to credit the pilot for his leave, even as it extended this benefit and leave time to other workers. This was in direct violation of the USERRA (Uniformed Services Employment and Reemployment Rights Act. The measure was passed specifically with the goal of making sure members of the military aren’t returning from active duty to civilian life to find they have been deprived of certain employment benefits. 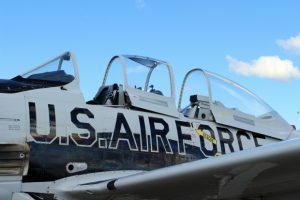 The employment lawsuit seeks to recover the pilot’s lost benefits, as well as impose an injunction that would prevent similar actions from occurring in the future. The lawsuit is part of a bigger effort by the federal government to make sure military members aren’t penalized when they leave to serve their country. In addition to employment actions, these efforts have included improper repossession of vehicles and even wrongful home foreclosures. The U.S. Justice Department reports the issue for this Fairfield, California pilot was that when he worked for Continental – which later merged with United – that the company refused to let him accrue sick leave while he was deployed for the military. In fact, this provision was written into his contract. The pilot had been a U.S. Air Force reservist for 26 years, starting in 1990 until his retirement in 2016. During that time, he began work for Continental/ United, starting in 2000. He had gone on furlough from the company during a transition period. He was recalled from that furlough approximately six months prior to his deployment. Has an obligation to perform service in uniform. The requirement to provide returning members either the same or a substantially similar job. To reemploy returning service members with the same kind of seniority and/or benefits they would have earned had they not left for active duty (sometimes referred to as the “escalator principle”). The requirement not to discriminate on the basis of past, current or intended military service. For workers who are experiencing a conflict between their military obligations and their civilian jobs, quitting is usually not advisable. Contact an experienced military status discrimination attorney to learn how we can help.